Thanks, “Run for It!” | Garrett Mentors, Inc. 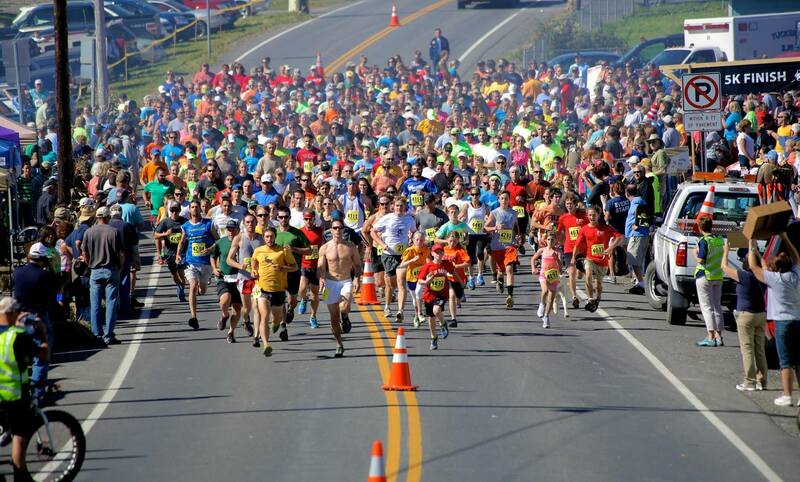 The Tucker Community Foundation’s “Run for it” Event in Davis, WV on September 27, 2014, allowed us to raise $5,247 for our program! We raised funds off of each of our team entry fees, sponsors, race results and team prizes! Thank you to our teammates: Kevin Cuozzo; Jen Cuozzo; Lillian Cuozzo; Michael Fontaine; Angie Sincell; Sarah Teets; Clint Athey; Maureen Myers; Connie Jacoby; Ed Spurr; Camille Spurr; Haley Gillespie; Jenny Neville; Steve Watkins; Rachelle Watkins; Jennifer Schwartz; Sarah Steyer; Gloria MacGowan; Linda Marden; James Fogartie; Marie Fogartie; Victoria Johnson; Dan Fenechi; Bobbi Feneci; Chris Boswell; Brent Hiett; Anna Hiett; Carl Fike; Kathy Coble; Don Coble; Laura Fike; Jared Fike; Sharon Teets; Frank Shap; Rick Schiff; Ken Smith; Bonnie Swyter! Congratulations to Haley Gillespie for winning the 2k walk! We received $500.00 for her win! Congratulations to Marie Fogartie for the 5k age 20-29 2nd place! We received $100.00 for her results! Congratulations to Angie Sincell for the 5k age 30-39 3rd place! we received $100.00 for her results! Our team also won the “Gold Star Award” ($1,000); “Best of County” ($1,000) and received a portion of the Commissioner’s Award also shared with the other two Garrett County Teams! Thank you very much to all involved in making this event such a success for Garrett Mentors and the many other organizations and groups who participated!